Home Unlock Huawei How to Unlock Huawei E5336, E5336s-2, E5336Bs-2, E5336Bs-6? How to Unlock Huawei E5336, E5336s-2, E5336Bs-2, E5336Bs-6? Inspired by E5330, Huawei E5336 can also be unlocked with correct SIMLock code. In the market you can find out E5336, E5336s-2, E5336Bs-2, and E5336Bs-6 MiFi routers. Unlocking of these devices is also possible by a correct NCK code. It is very easy and one-time work, but as a benefit, you can enjoy all network provider SIM cards. 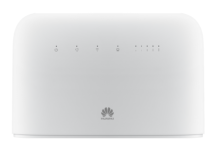 How to Unlock Huawei E5336, E5336s-2, E5336Bs-2, and E5336Bs-6 MiFi routers? 1. Change the default SIM card with any another network provider in E5336, E5336s-2, E5336Bs-2, or E5336Bs-6. 2. Connect to PC with USB cable. 3. It will automatically open the default web page of the device, if not, then open “My Computer” > “virtual CD-ROM” and install the drivers on your PC. 4. Once the device will automatically open the default web page, log in at 192.168.1.1 using username and password as admin. Note: You can also find out the default username and password of the device under battery panel. 5. It will redirect you to the unlocking page. 6. Enter 8-digit correct SIMlock code. 8. Now the device will be rebooted automatically if not then reset from the reset button. 9. Once the device is unlocked and rebooted properly, create a new profile. 10. Connect to the internet. 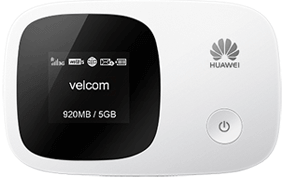 Previous articleHow to Convert Huawei E3276 Modem into Hi-Link Dongle?